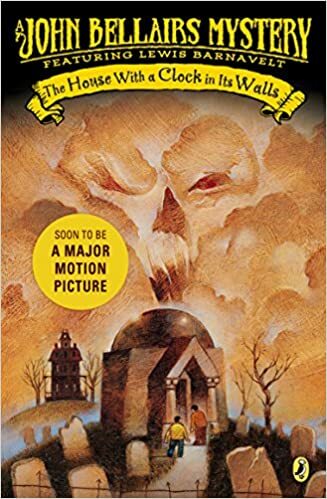 Based on the 1970’s novel by John Bellairs, the movie reviews (see Common Sense Media site) seem to be saying dark, creepy and perhaps too much horror for little kids. The book, however, reads like a creepy, gothic tale of an orphaned boy who goes to live in an old house with an uncle he never met. Set in the mid 1900’s, the grim tale is less than 200 pages. Released in a timely manner for Halloween season, the movie has “jump-worthy” scenes and may be over the top for very little ones. Perhaps best to stick with the book for the younger set where the original Edward Gorey illustrations will satisfy the haunted mood necessary to conjure up goosebumps. This entry was posted on September 27, 2018 at 7:15 pm and is filed under Adult Readers Advisory. You can follow any responses to this entry through the RSS 2.0 feed. You can leave a response, or trackback from your own site.